Letter to Turkish PM Yildirim regarding the September 1st Emergency Decree (KHK 672), which resulted in the dismissals of 2346 academics at 94 public universities in Turkey from their positions. Letter to the UN office of the High Commissioner for Human Rights responding to their query about our earlier correspondence with the Special Rapporteur on the promotion and protection of the right to freedom of opinion and expression concerning the cases of academics facing prosecution in Turkey on charges of denigrating the Turkish state or insulting the President. Letter to PM Davutoglu (see previous letters of January 14, 2016 and February 22, 2016) concerning an escalation in government actions against Peace Petition signatories and their supporters including arrests, a deportation of a foreign academic and a declaration by the President that the Turkish Criminal Code will be amended to broaden the definition of terrorism to include academic activities. Letter to PM Davutoğlu (see previous letter of January 14, 2016) concerning the gravity and magnitude of the pattern of harassment, intimidation, prosecution and repression to which academics have been subjected as a consequence of signing the Peace Petition, followed by a comprehensive appendix detailing these violations of academic freedom. e travel ban on graduate student Haydar Darıcı was lifted February 21, 2016. Letter to PM Davutoğlu (see previous letter of January 5, 2015) concerning graduate student Haydar Darıcı, who is currently subject to a travel ban, preventing him to return to the US to continue his doctoral studies, and criminal indictment for his academic activities and writings, including twitter activity, with regard to the Kurds in Turkey. Letter to PM Davutoğlu regarding disciplinary proceedings against Assistant Professor Halil Ibrahim Yenigun who has been suspended by the university administration of Istanbul Commerce University for being a signatory of the Academics for Peace Petition. Letter to PM Davutoğlu regarding Professor Emerita, Adjunct Professor and anthropologist Sibel Özbudun who is facing two separate prosecutions related to comments and photographs that she posted on her Facebook page. Letter to PM Davutoğlu regarding Boğaziçi University Prof. Koray Çalışkan who is under criminal investigation for allegedly insulting President Erdoğan on Twitter. Letter to PM Davutoğlu concerning Turkish Higher Education Council's condemnation of a peace petition signed by academics as "terrorist propaganda" triggering a series of disciplinary investigations at various universities, and initiation of criminal investigations, against signatory faculty members. Letter to PM Davutoğlu concerning recent changes made to the legal regulation of the Higher Education Council (Yüksek Öğretim Kurulu, or YÖK), enabling the Council to seize control of private universities, suspend the admission of new students, suspend academic programs, and shut down a university indefinitely. Letter to PM Davutoglu concerning graduate student Haydar Darici who is currently subject to a travel ban, preventing him from returning to the US to continue his doctoral studies, and a criminal investigation related to his observation of a demonstration in Diyarbakir following his arrival for research. Letter to PM Davutoglu concerning Turkish academic facing criminal indictment for “terrorist propaganda” and praising “crime and criminals” due to a final exam question in his course that required comparison of two texts written by Abdullah Ocalan. Letter to PM Davutoglu concerning Turkish academic sentenced to over 11 months imprisonment for attendance at a memorial service during which anti-government slogans were chanted. Letter to PM Davutoglu concerning the case of a Bogazici University student detained on secret evidence apparently related to his participation in peaceful pro-Kurdish activism and his possession of written materials and music published by Kurdish political figures. Letter to PM Davutoglu concerning three Turkish academics subjected to disciplinary action by state officials for publicly sharing their expert opinions and research findings concerning, respectively, public health, environment and minority rights issues with the media. 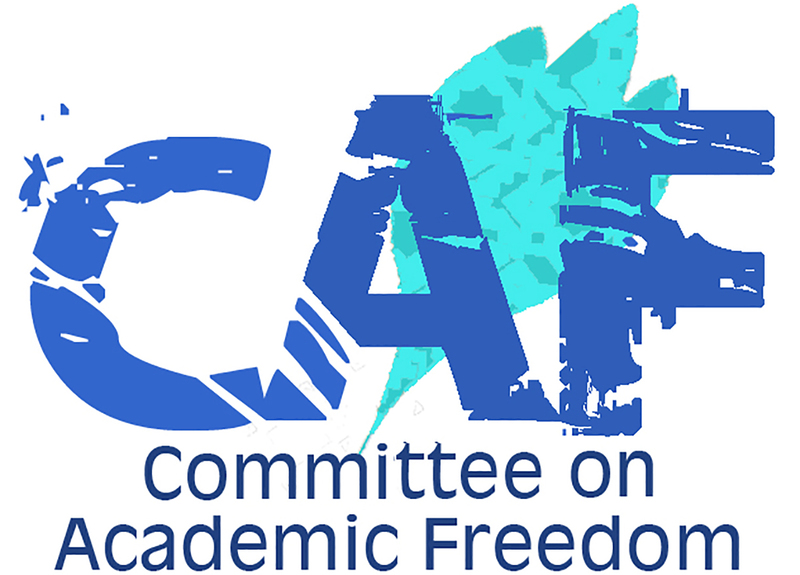 Letter to PM Erdoğan (see previous letter of January 24th, 2013) concerning ongoing reports of intimidation of students and faculty at Marmara University’s Faculty of Communications and alleged violations of academic freedom by Dean Yusuf Devran. Letter to PM Erdoğan regarding three mass trials that included academics who were tried, together with dozens of others, based on highly politicized charges and without appropriate procedural protections, contributing to a climate of intimidation on university campuses. Letter regarding incidents at Kilis 7 Aralık University that have created an atmosphere on campus that negatively impacts teaching, academic research and scholarly production which continue despite efforts by faculty members at the university to seek redress through the Higher Education Council (YÖK). Letter regarding police violence at Ankara’s Middle East Technical University on December 18, 2012, when an extraordinarily large police contingent was deployed. Students were protesting government policies on the regulation of higher education and the attendant violation of student rights during PM Recep Tayyip Erdoğan’s visit to the METU campus in connection to the launching of the Göktürk-2 satellite. Mounting reports of intimidation and persecution of students and faculty on Marmara University’s campus and alleged actions of the Dean of the Faculty of Communications, Yusuf Devran, which threaten freedom of thought and freedom of research at the university.